I have been subscribing to AOM for over 13 years now, and find the right fit for me and my abstract art. I may not enter competitions regularly, but I have found solo shows and opportunities that I would never have known about any other way. Thanks. 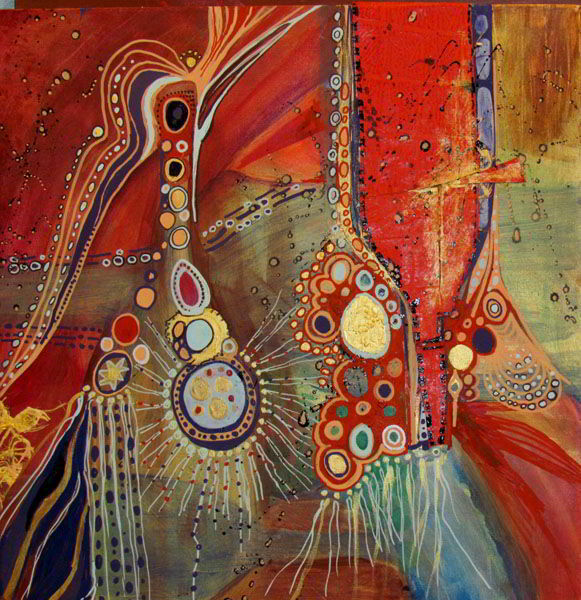 Aboriginal Wine Time, 2014, acrylic / mixed media on canvas, 20 x 20 in.